For visitors to West Virginia’s New River Gorge National River, a stop at Cathedral Falls—located just outside the park near the town of Gauley Bridge—is a must. Presumably named for the Cane Branch Church situated just upstream, Cathedral Falls tumbles gracefully for more than 60 feet into a beautiful grotto. Better yet, it is visible from the road—Highway 60—roughly a mile southeast of Gauley Bridge and is on the way to New River Gorge from Charleston, West Virginia’s modest capital. 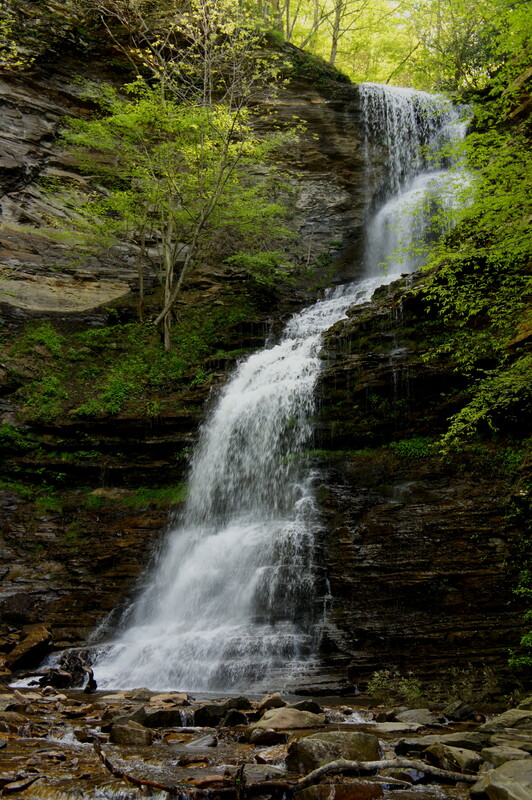 Stop at the unmarked pull off—there is no sign marking “Cathedral Falls,” but there is an obvious parking area—and venture across the rocks to the base of the thundering cascades for an intimate look at one of Appalachia’s best waterfalls. This entry was posted in New River Gorge National River, West Virginia and tagged Cane Branch, Cathedral Falls, Gauley Bridge, New River Gorge, waterfall, West Virginia. Bookmark the permalink. You’re hiking my neck of the woods! I was born and raised in Fayette County, WV. 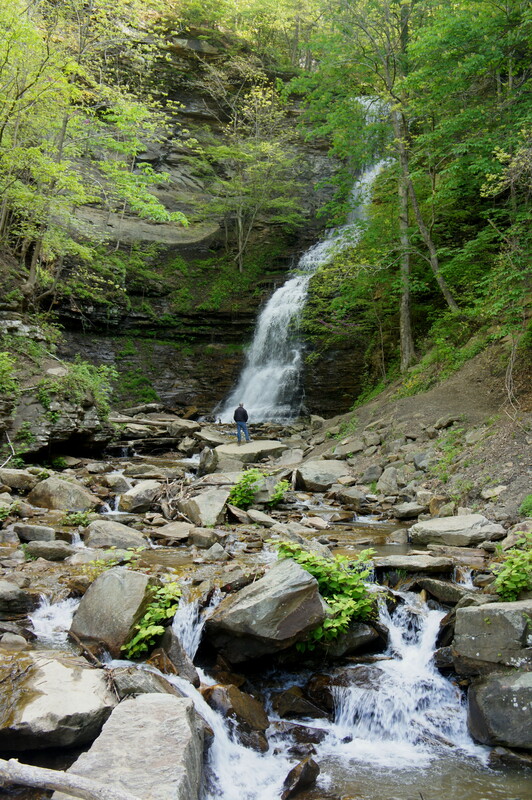 My family and I have visited Cathedral Falls as well as the countless hidden falls throughout the area for years. Awesome! I was blown away with Cathedral Falls – especially as it was so…unexpected. Any other gems you’d recommend in the area? One thing I like about Cathedral Falls is the varying water conditions. At times, I jokingly call it Cathedral Trickles. Other times, it is a raging waterfall. But my favorite time to visit is in the winter when it is frozen over. Absolutely beautiful. The Dunloup Creek Falls are fantastic. Not only are they beautiful, you can enjoy putting your feet in them and feel the cold mountain water flow around you. They’re easy to find as well. Head towards Thurmond, WV, and you have little choice but to drive right by them. There’s also a good bit of hiking around the Thurmond area. In fact, if I remember correctly, my first hike was from Minden to Thurmond with my fifth grade Sunday school teacher. Here’a a recent post I did about Dunloup Falls. You should also look into Beauty Mountain. It’s a local favorite. Great views of the Gorge without seeing the Bridge. It’s a fantastic place to hike around and appreciate the ancient landscape. Awesome, man. Such beautiful country – I will take your suggestions to heart for next time I’m out there!